I was in SoHo taking some street style photos yesterday and while roaming the streets I walked by the baby store, Giggle. I stopped in front of the store, looked inside and decided to go take a look. Your mom and I had previously visited Giggle but we were primarily focussed on strollers and cribs. For this visit I had clothing on my mind. Your mom has led the clothing charge thus far and done a great job. I’m not sure what made me want to buy you some clothes, but I knew I wanted to do so. Maybe I’m now leaning a bit more towards excited than terrified. You don’t know this yet, but we are going to Florida in December and I’m thinking this will be your first time taking a dip in a pool. Your mom already picked you up some swimming trunks, but I decided to buy you some additional gear. 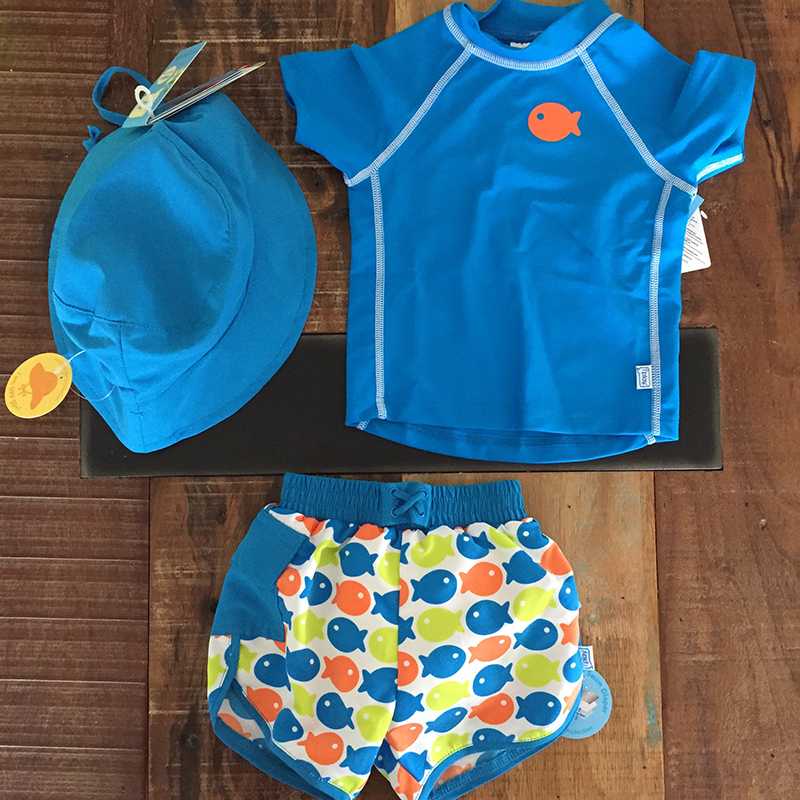 The hat was pretty simple, but then I had to quickly get educated on baby sizing for the shirt and trunks. I also determined that there’s a bit of a mind shift that has to happen when it comes to buying clothes for you. There’s so many new variables to consider! What I picked up can be seen below. I don’t plan on having you be Mr. Matchy Matchy all the time (I do look forward to teaching you about style), but this just felt super cute. It’s the one time of your life where you get to dress like this and get lots of adorable points. The hat and shirt should help you from getting sunburned. Oh, and just a warning, your mom is crazy with sunscreen. The shorts have a little diaper insert inside which should help make life a bit easier. I hope. I have to admit, when I walked out of Giggle I felt like a little kid. It was a mixture of absolute excitement and the feeling of doing something really cool for the first time. When I got home your mom was laid out on the couch — you seem to exhaust her during the final few weeks of pregnancy — and I was so excited to show her what I purchased. Thankfully, she loved everything I bought and was equally as excited about the outfit.